September with The CakeSlice Bakers is always a meh... kind of month. The new book is just around the corner and having baked some really great recipes from our current book already, it's hard to pick out entertaining and challenging bakes. This month there seemed to be a lot of choices using egg whites. Now, regulars round these parts will know I hate waste and just the thoughts of having more egg yolks to use up sent me in the farmer's daughter direction. 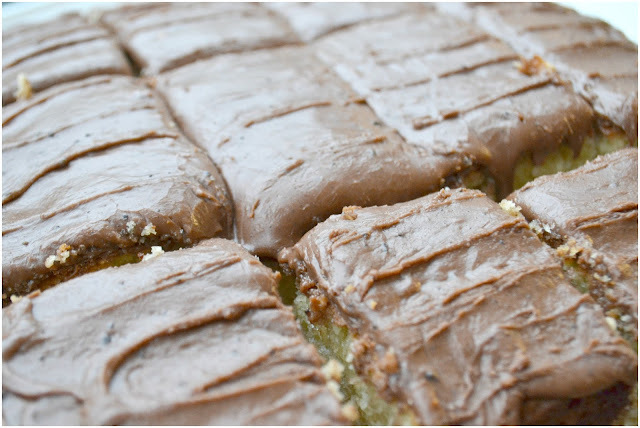 It is hands down, the best cake I have baked from Maida Heatters Cakes. It is so simple, so plain, so utterly delicious that my pictures really don't do it justice. The crumb is so light and tender and has this creamy, not buttery, texture. In fact there's no butter in the cake at all. The crusting frosting firms up on the outside, but one bite in and it melts in your mouth. Truly scrumptious. I don't say this lightly, this cake has beaten all the intricate concoctions, they fancy-schmancy flavours, arduous directions and exhaustive ingredients list of CakeSlice bakes gone by. A store cupboard staple, this cake will be a firm favourite here for a long time to come. I had to change the frosting recipe to my own, as I wasn't making anything that didn't use a whole egg. My frosting, still on old fashioned favourite, mirrors the books icing. And I'll throw in makes it better, for modesty's sake! haha! But I have agree with Maida on one thing, a cake so easy to put together, it's hard to believe any one would buy cake from a store at all! Preheat your oven to 180C/350F or gas mark 4. 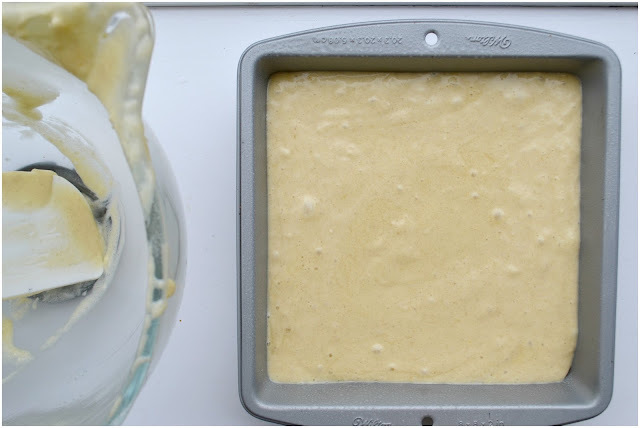 Line the bottom of an 8 inch square baking pan with parchment and spray the sides with a quick release spray, or grease with some butter. In another bowl beat the eggs, vanilla and sugar until light and paler in colour, Add the cream and mix until just incorporated. Add the dry ingredients and mix until just combined, until just smooth. Pour the mix into the prepared pan and bake on the middle shelf for 30-35 minutes. It'll be done when the top is golden, the sides are coming away slightly from the edge of the pan and a skewer/toothpick inserted in the middle comes out clean. 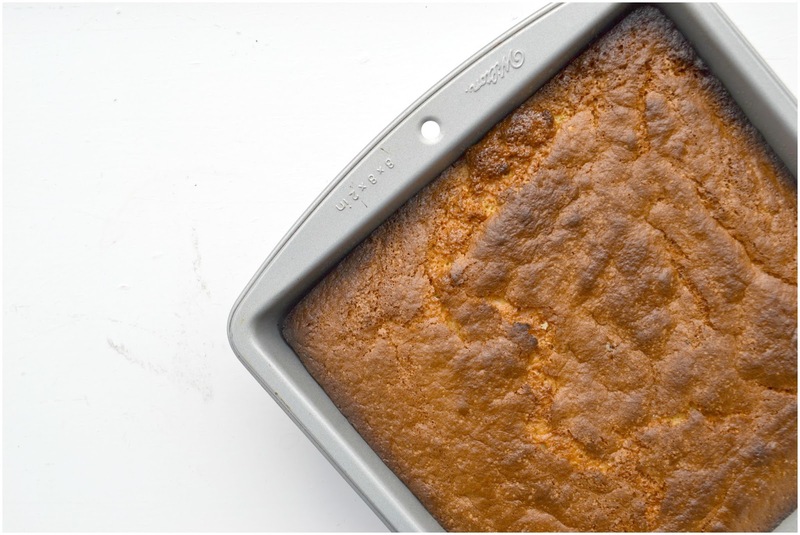 If the cake rises in the middle during baking, as soon as you take it out and using a clean tea towel GENTLY press the top of the cake back down flat with the palm of your hand. Softly does this though, don't be rough. 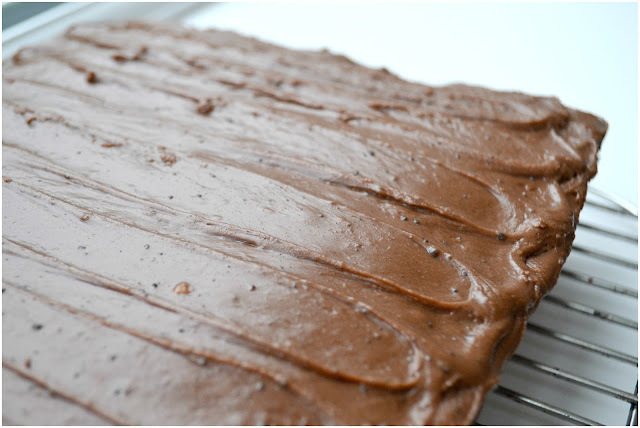 Let the cake cool in the pan for 5 minutes, before turning out onto a wire tray and allowing to cool completely before frosting. Melt the butter in a pot over a medium heat. Whisk in the coco and the milk and bring the whole thing to a gentle boil. Remove from the heat and bit by bit, blend in the icing sugar until you have the consistency you want. If it gets too thick, and a drop of milk at a time to loosen it out! 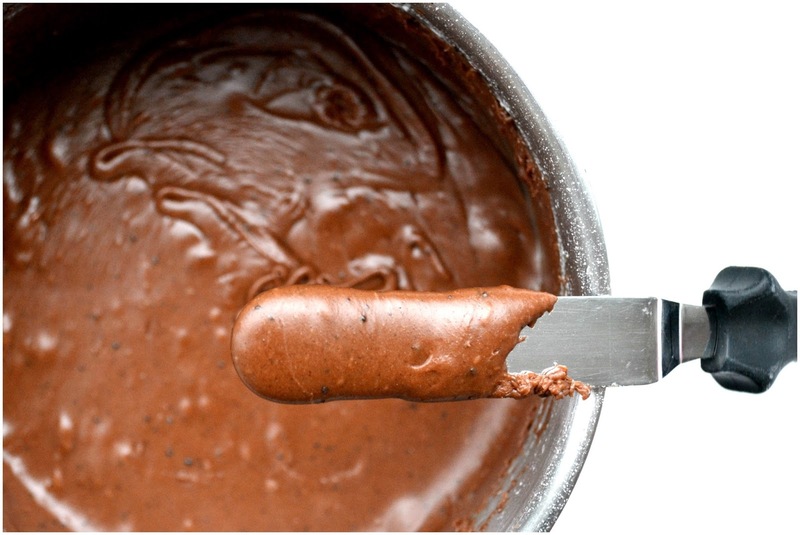 Smear this too good to be true stuff all over the top of your cake and allow to set for a few minutes. Serve as soon as you are ready to share. And there you go. 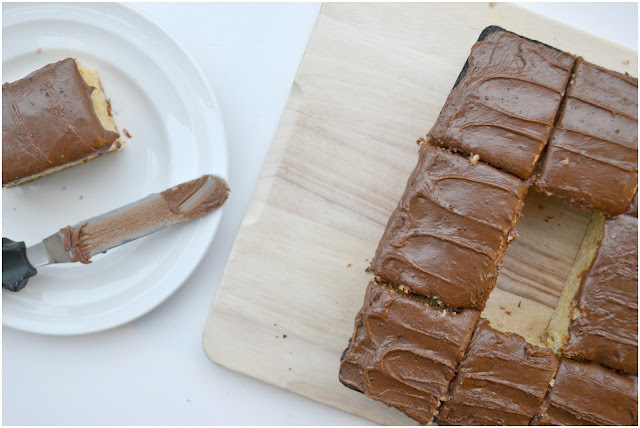 A super simple, super tasty, please don't buy cake ever again store cupboard staple! Would I steer you in the wrong direction? NO WAY! Your icing does kind of mimic the one in the book! 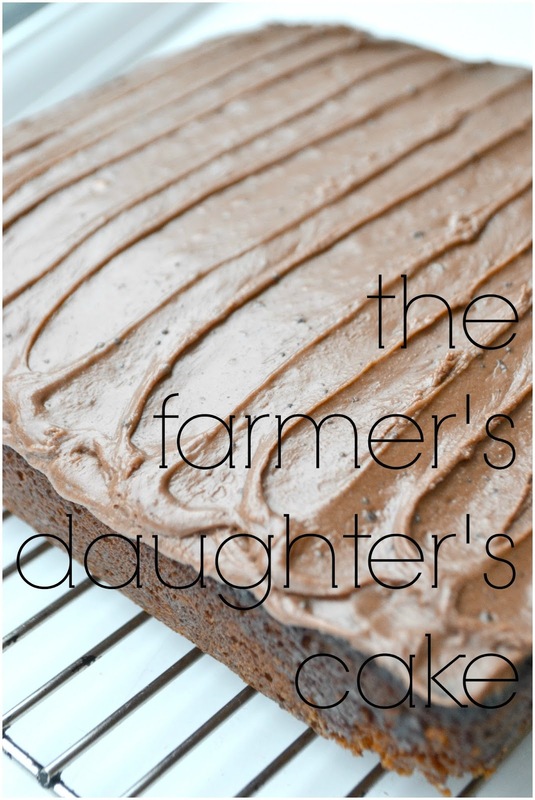 At first glance I wondered how the heck you got it all to stay on the cake, then I read on. I did really enjoy this cake as well. Sometimes the simple ones are the best! How glorious! Looks like the perfect cake - moist, yummy, simple with that great easy frosting. I think I missed a trick by not baking this month. This sounds and looks really good. Oh Hazel, I should have used your old fashion chocolate frosting instead of the suggested one with my cake! I was scratching my head as to how you managed to get that inner piece out for picture taking... until I saw the frosting on your knife.. I found out your secret! I love how simple this cake was too! It would be delicious with just about any icing. Looks so good! Where do I find the correct conversion measurements? Wow! 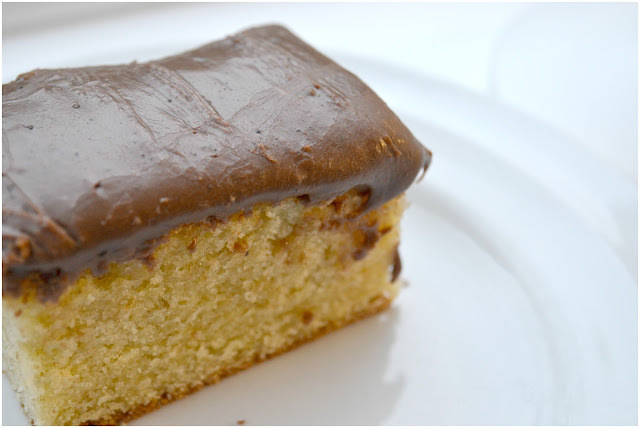 That looks like a perfect yellow cake with chocolate frosting! It looks delicious! 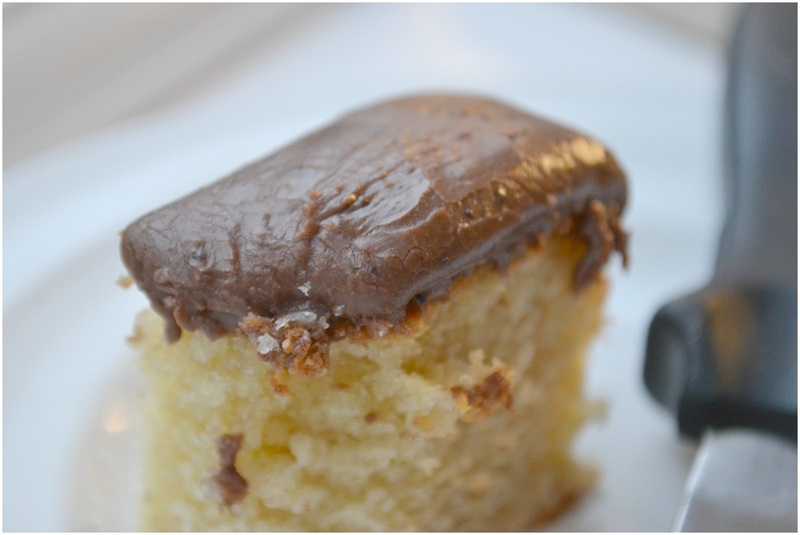 It is goes to show that you can't beat a simple cake, with a little chocolate frosting. 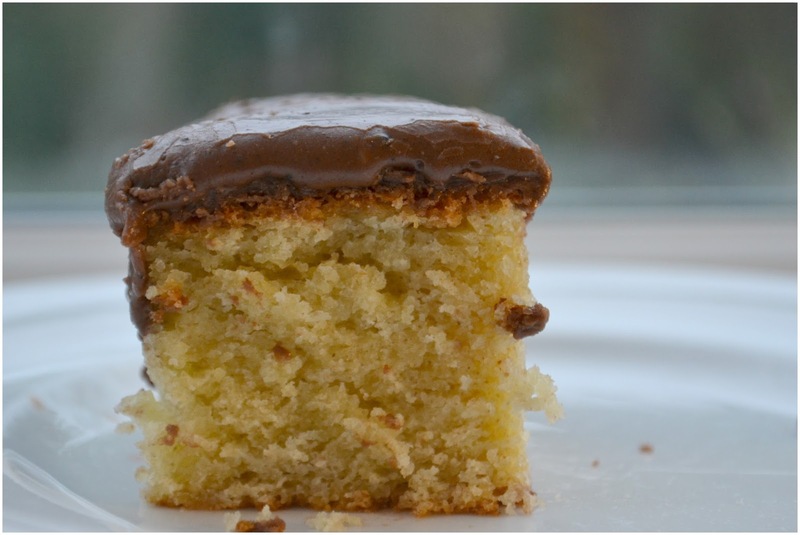 Your cake looks amazing and you can just see how light and tender the crumb is. This was definitely a popular choice, and I can't wait to go back and try it myself.